I was on the hunt this weekend for a spinach soup that was hearty but not creamy and not full of noodles or other grain. We have been trying to cut back on the grain intake again and I had already had my share of creamy soups during the week (lots of pumpkin and creamy potato leek). Plus, we had purchased a big bag of spinach at the market last Sunday and it needed to be finished before it ended up going to waste, and I was not about to let that happen. I was pretty disappointed at the recipes I found online as they required either orzo, noodles or ten cups of milk and most used ingredients I simply did not have on hand and was not about to spend money on. So, I decided to try something on the fly and I was actually quite pleased with the end result. It was really a simple recipe and took little to no effort at all to make. Simply combine all of your ingredients in your pot (as in the photo above) until cooked, then process in your blender. 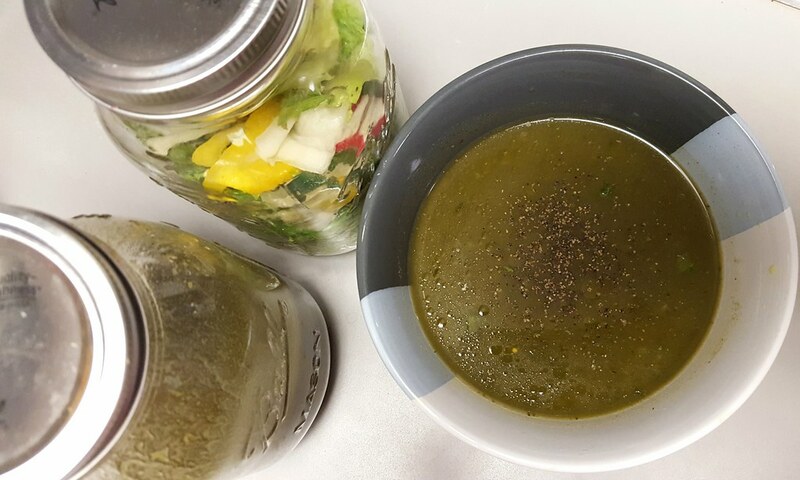 The soup is chocked full of vitamin k, potassium, magnesium, calcium and iron and can be stored for a few days in your fridge in a sealed jar or container. 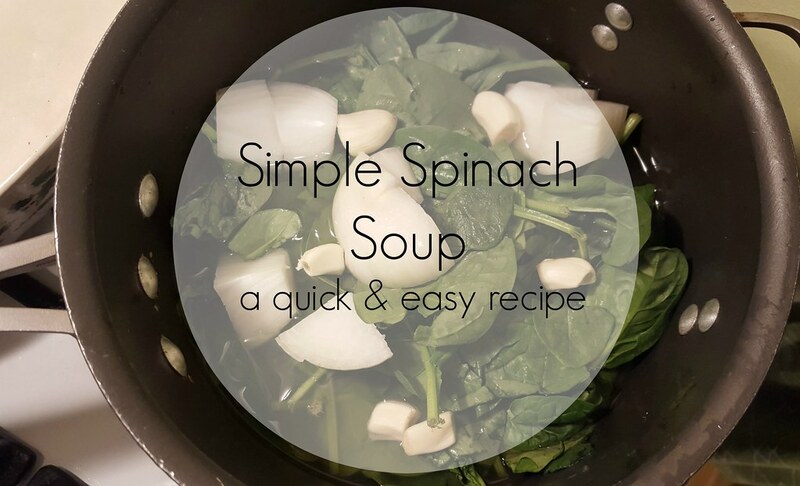 Cook your soup until the onions, garlic and spinach are nice and soft. Again, I used my Nutri Ninja blender to process my soup and once finished, I returned to my pot and allowed some of the liquid to cook of. Remember, THIS IS NOT A CREAMY SOUP. Your consistency will be just like that of any vegetable soup but trust me, it is quite tasty. I served it for dinner Saturday evening and added some fried sausage and a bit of cheese. The pork sausage mixed with the grittiness of the spinach worked really well together. It was a great, simple little meal and can be paired nicely with some white wine or a tasty stout.